March 22, 2019 LA GRANDE, Ore. – Computer science professor Tim Harrison entered his first year teaching at Eastern Oregon University and began transforming the program’s traditional curriculum to meet the needs of online students. By January he had the first “Foundations of Computer Science” course available in a series of videos and online assignments. Additional classes have since been added, and the department hopes to offer a full range by fall 2020. 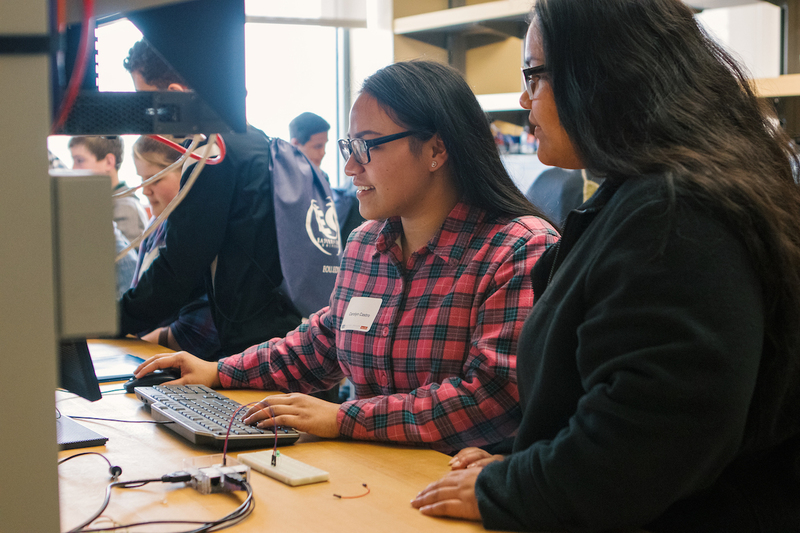 By providing technical skills in an easily accessible format, Harrison said offering computers science courses online “fills the gap” for adult learners looking to advance their careers. Converting 50-minute lectures into online curriculum is no small task, said Steve Sheehy, who’s leading the department’s effort. But his and Harrison’s work has already attracted a growing number of online students to the program. That set-up, though, has its own pitfalls. Harrison said some students enroll in the program without much knowledge of basic computing. Sheehy pointed to EOU’s 40-year history of offering distance education in rural places. He said high school students can take advantage of opportunities through Eastern Promise to take mathematics and basic computer science classes from afar. “Going online allows us to reach beyond our local area and keep our values in tact,” he said. Non-traditional students looking to change occupations or move into higher paying jobs benefit from the flexibility of this new skill-centric online degree program. To learn more about this and other online degree offerings at EOU, visit eou.edu/online.